Black Friday is over and the House of Beauty Christmas Door Garland is up and looking as beautiful as ever, so we are ready for the festive month ahead. Our daily Treatment Advent Calendar has started, offering the most fabulous Gift Voucher ideas every day, including access to purchasing online, so keep an eye on our social media or your inbox to see what each door opens. 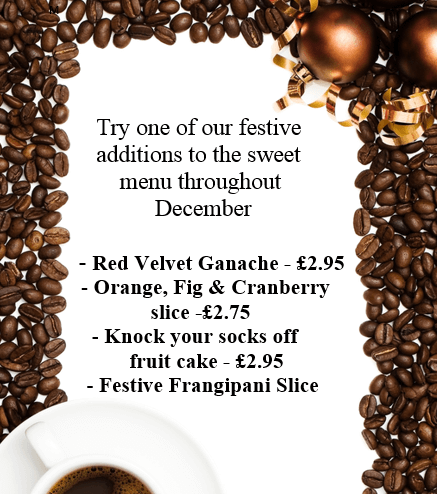 We are festive in the café with a menu of traditional sweet treats to spoil yourself before or after your treatment time with us and don’t forget we are a fully licenced salon so a glass of bubbly is always available. 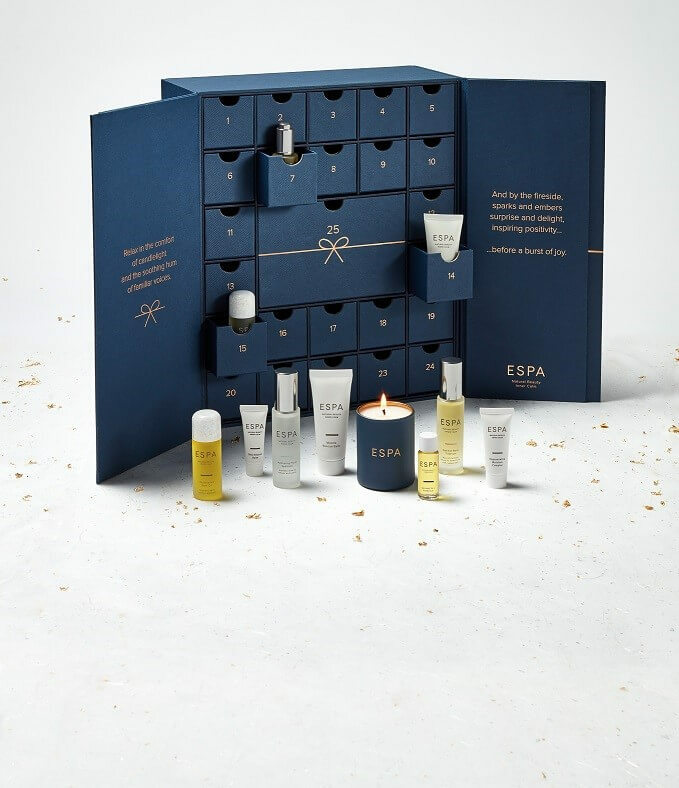 We start our charity ESPA advent calendar with the chance to win an ESPA aromatherapy facial, whilst helping a local charity that the team will choose. Each ESPA drawer purchased has a gift worth £10 and your chance to be pulled out of the Santa hat to win. 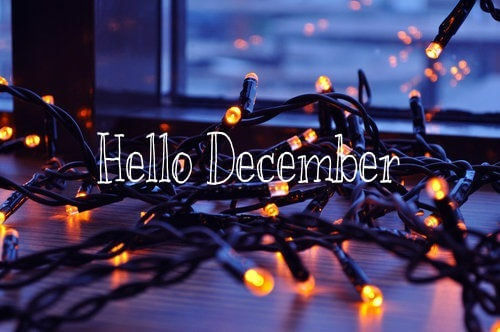 The team love Christmas and the salon atmosphere is always a happy one, but it goes to another level during December and we look forward to celebrating with you every day this month. House of Beauty and ESPA have teamed up in December with a Charity Advent Calendar. Each week there will be the chance to open an ESPA drawer for £10, inside will be an ESPA gift worth £10 or more, then your name will be placed back in the drawer with the chance of winning an ESPA Aromatherapy Facial, together we will also have helped a local charity that we will announce in Januarys Bulletin. How delicious do these cakes sound and trust us, we can confirm just how delicious they are after an extensive tasting session…purely for marketing purposes!!! 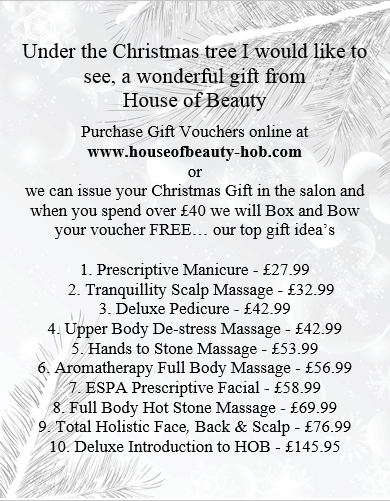 Most of you have started to open our daily Advent Calendar and purchase a House of Beauty treat as a Christmas Gift and we will continue to send daily idea’s with the option of purchasing online, but if you are looking for a complimenting product you can pop in to the salon and we will issue your Gift Voucher and box it with your product, just remember the team are having a slightly longer, well deserved Christmas break this year, so make a note of our opening times. 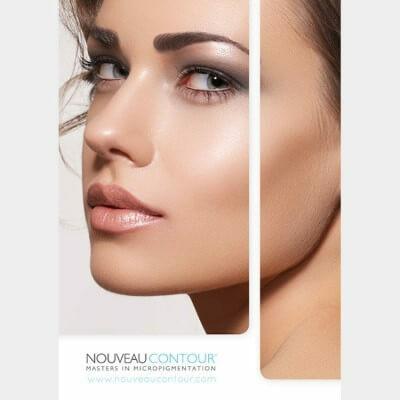 Wendy is now full until the end of the year, but is taking bookings for 2019, so if this is something you will be putting on your wish list, book now for the New Year as the winter months are ideal for getting this life changing treatment done with UV light being weaker from now until early summer where extra care is needed during the healing period of new brows, eyes or lips.